One of my favorite things about being a professional photographer is the ability to spend a little extra time creating a unique feeling in our portraits. I enjoy spending time with our clients, getting to know them and their personality. Individuals have a unique personality, and then as a group, the personality shifts a little to accommodate that new environment. A man may be stern and solemn until he gets around his newborn daughter and he just shifts into happiness. His smiles come easier and you can feel his joy. (I am not speaking specfically of Ty, just as an example). I appreciate when my client's trust me to give them a unique experience. 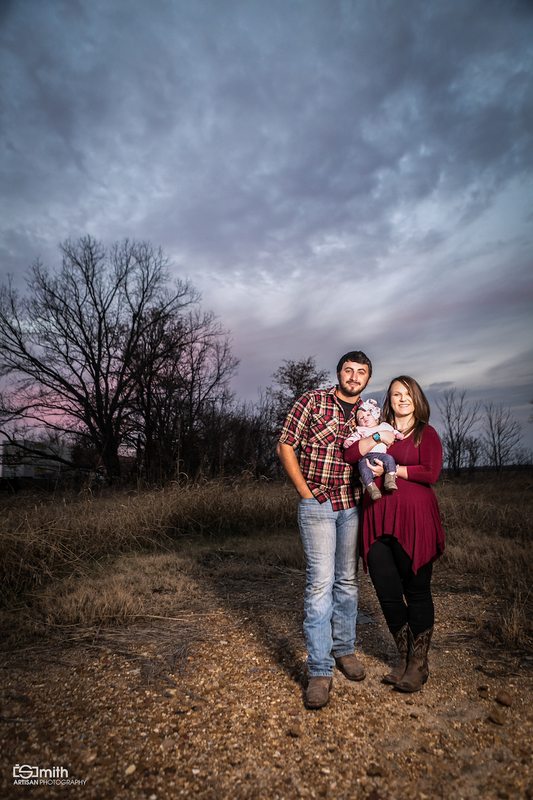 Anyone with a camera and a few extra minutes can take a picture, but capturing the way a family feels in a portrait takes practice, patience, and an empathetic spirit. We really do love spending time with our clients. By the time we're finished with a session we feel like old friends. My goal is for them to never feel rushed, or nervous. It's one of the reasons I don't offer "mini-sessions". I don't want your pictures to look exactly like everyone else's that I took that day. Cookie-cutter I am not.